MBR’s and other sensitive treatment equipment along with the increase in rags and wipes in the waste stream has pushed the perforated plate fine screen as the preferred pretreatment technology by plant managers. JWC has responded by offering the industry leading technology – the Finescreen Monster®. 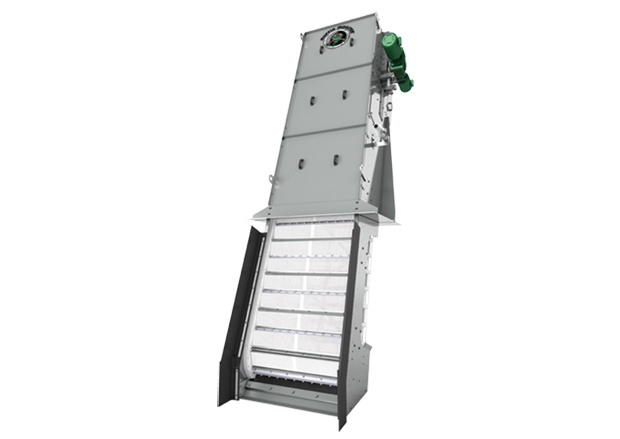 The Finescreen Monster uses a continuous band of UHMW perforated panels to capture and lift solids out of the channel. Stainless steel panels are also available. 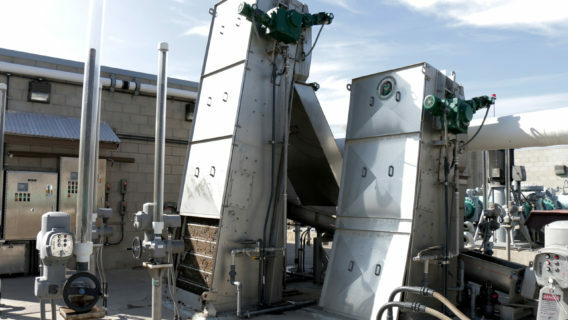 A wash water spray system ensures material is sent to the discharge chute and the screen stays free flowing and clear. Debris then drops into the integrated Screenings Washer Monster® for grinding, washing, dewatering and compacting.